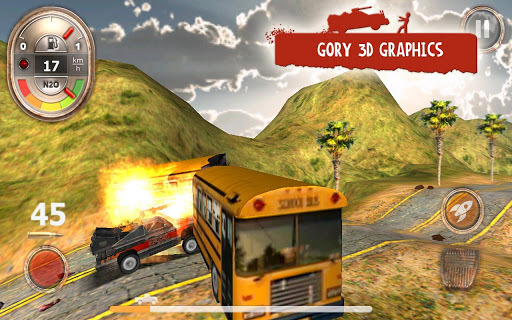 Zombie Derby: 4/5 Rating: If you enjoy the thrill of rolling your wheels over the undead or shooting them whilst you ram into them then this could be the game for you. 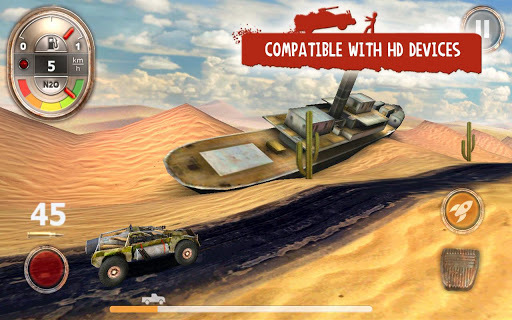 Zombies, cars, guns and even EXPLOSIONS (Not large ones, but enough to satisfy you) in one single game… Zombie Derby offers loads of in-game extras for FREE! 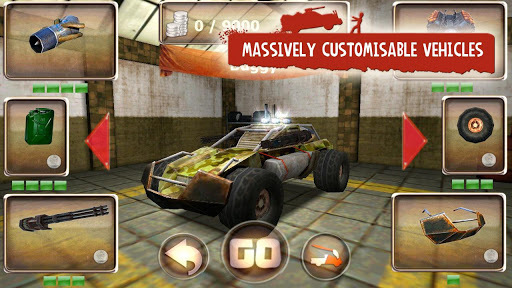 You’re a mad man, with a customisable car which can be pimped with bigger engines, nitro boosters, meat shields and guns… all this just to cross wastelands! But getting across is no easy task and you’d be surprised by the difficulty of this game – even after you get the hang of it, it will still provide roughly 5-6 hours of fun! The best part is that even after you complete the game you know that the designers are still working on new patches! More maps, more cars, more hours of fun. Wahey! Reach the other side of the map; you can customise your car in order to aid this goal. There are currently a total of 5 maps including the tutorial. You customise your car using money you earn from each attempt to complete the course, based on distance travelled and points earned in side objectives. You gain points by shooting down zombies and fuel tanks, ramming into more zombies on your fall, doing flips, and unlocking achievements. The amount you can customise your car is amazing. The best part is that each component or addition to your car does make a noticable difference but not so great so that it cripples the fun of the game. Eventually you’ll realise that each obstacle you face requires a specific upgrade to your car. But by far the most magnificent feature to this game is the load time. Entering the map, repeating the map, or exiting out to the lobby is extremely quick – a critical feature for a game which is repetitive. In the recent patch they placed in the adverts: beforehand, the delay back to the lobby would roughly be around 6-7 seconds and now this has been fixed to 1-2 which is truly bliss. The controls are simple and easy to understand. Perhaps the only negative about this game I have is the inability to collaborate your accelerometer which meant whilst I was trying to play the game lying down, I wasn’t able to turn my car as effectively as I would’ve liked, but this shouldn’t be a problem if you’re sitting up. You want to maximise your fuel tank first, this will allow you to travel further and therefore you gain more money. 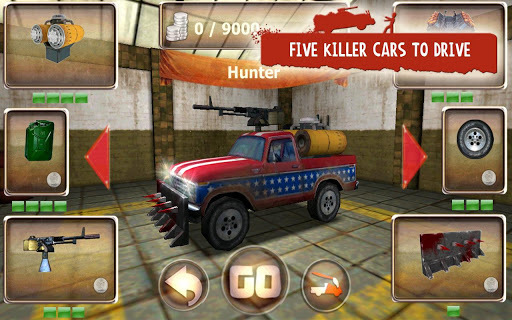 Getting a gun will allow you to shoot down big zombies which are large obstacles that really slow you down, shooting them down before you ram into them will open up a swifter path and saving fuel for the rest of the journey. Shoot down fuel tanks and yellow barrels; these also cause quite an impact on collision. Getting the front bulldozer will enable you to push crates more effectively. Position your landing when you leap, this will save time and fuel when accelerating again. Do not push the pedal in mid-air. If you accelerated in mid air you would be using up your fuel but getting nothing out of it. Using the nitro boost in the air can speed up flipping and increase air time. However using it on the ground greatly accelerates your car at great speeds.